With the outside of the house all sealed in it was time to finish off the last bit of siding. David had it up in next to no time and then a final coat of paint was applied. 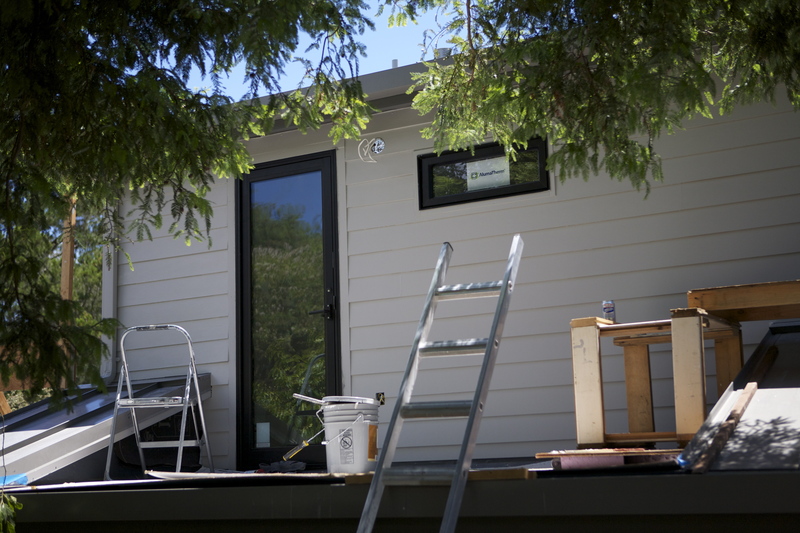 This means that the outside of the house is DONE…. as in the big jobs anyway. There’s still some light fixtures to go on and hand rails etc but taaadaaa..one finished house (on the outside!!). The last bit of siding finished! It was a big moment for us…we have been working towards this for the last TWO YEARS! so yes we took a little bit of time to reflect on this accomplishment…. No more rain leaking into the house, no more cold drafts from bits of plywood covering up holes, and no further risk of Marin’s wildlife taking refuge inside our home (we hope!!). So it’s no wonder that these two fellas were feeling very proud of themselves. 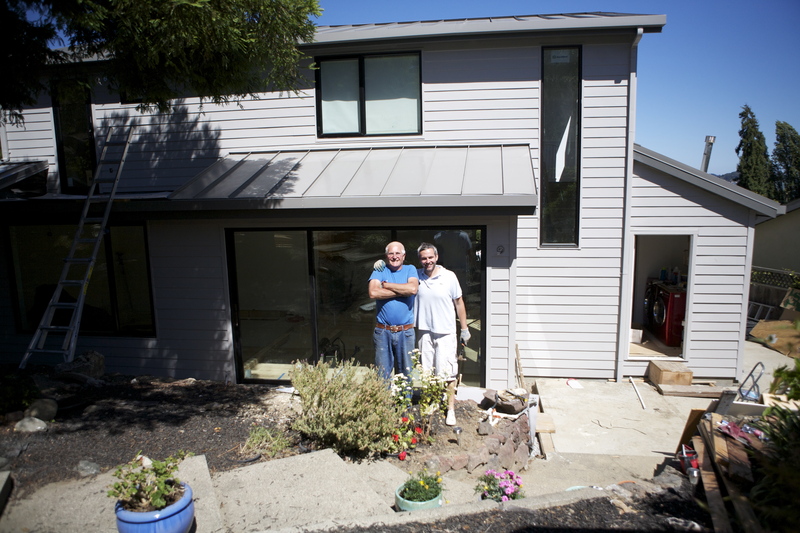 A big round of applause please for our dynamic house building duo….. Howe & Son.